This past Sunday I attended an auction sale and was able to purchase some awesome junk finds. When we arrived at the auction it was raining, and I wasn’t sure that we were going to stay. However the rain stopped by the time the auction started, and it was a gorgeous day. I am not sure if it was because of the rain in the morning or why, but there weren’t many people at the sale. Not good for the seller but great for me. It was my largest auction purchase by far. I am slowly going through my finds. Unfortunately I wasn’t expecting to stay long or get much so we had the car with us. Thank goodness my brother-in-law lived nearby the auction, so I was able to store the big finds at his house. I brought home the smaller goodies. 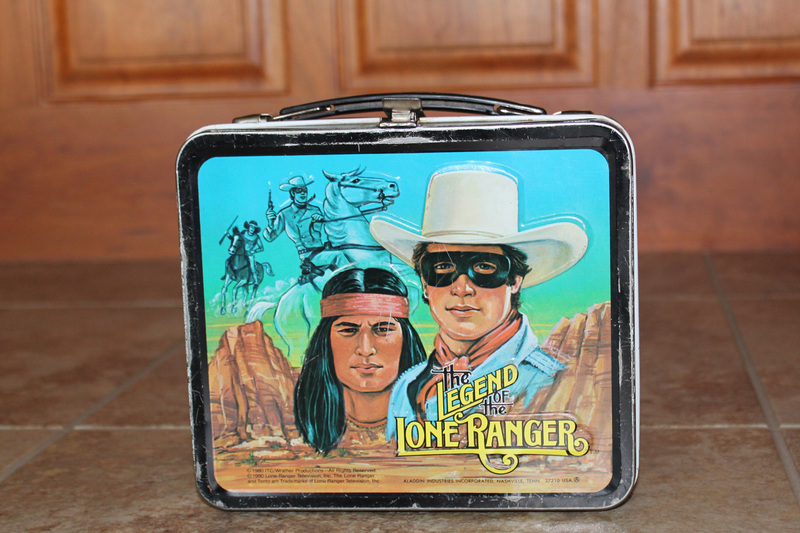 Check out this vintage tin “Legends of Lone Ranger” Lunchbox from 1979. 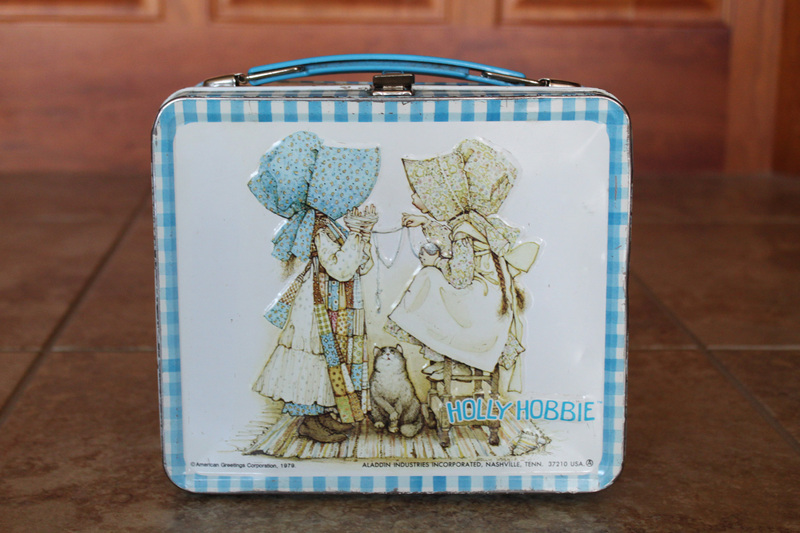 Or this Holly Hobbie Lunchbox. There were 3 canister sets within a group of boxes. 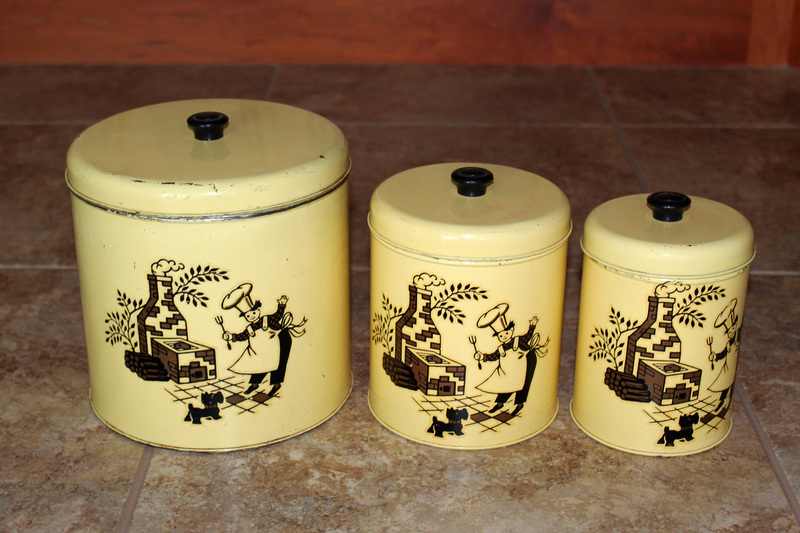 Look at this yellow BBQ Man set. 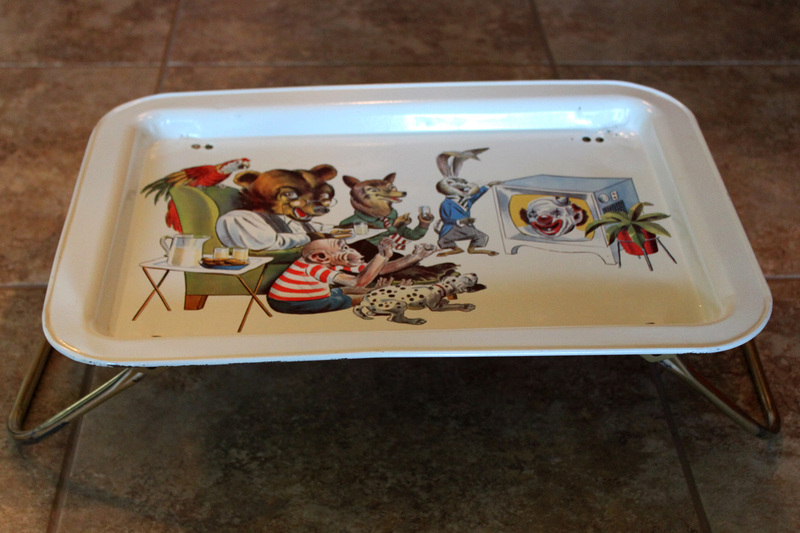 Another unexpected find within a box was this vintage child’s tv tray. It is in awesome condition. I never had one like this, but I remember metal tv trays. Ours were plain brown. Probably my favorite find so far is this vintage 1950’s clothes pin bag. It is filled with heavy-duty clothes pins. 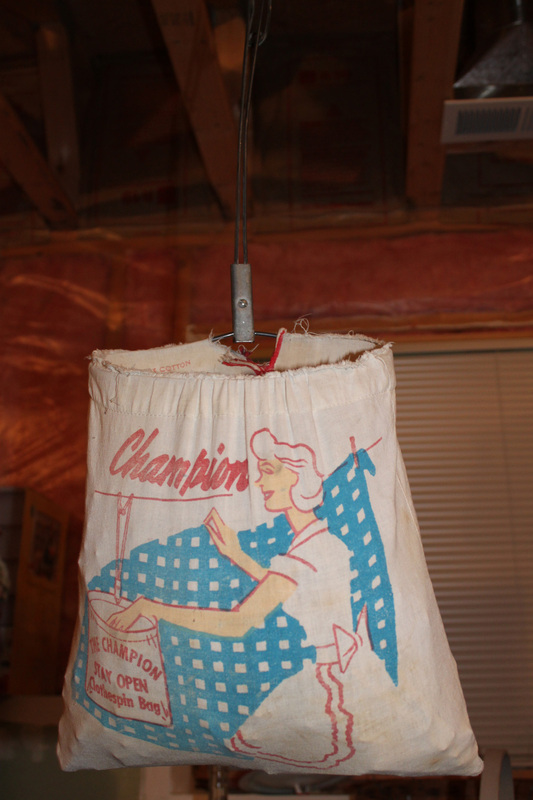 Growing up on a dairy farm, we had a clothes line in our yard. All summer we had to hang all our clothes. My Mom had a bag similar to this one. I guess we were “green” before it was popular to be so. It sure brings back memories. I think all of these items will be sold; still debating on the clothes bag. I am still going through my treasures. I will share more later. Yup, I remember that clothes bag. Mom would pin it up on the line while she was hanging clothes. I can still see all our clothes drying in the wind. I remember being embarassed that our underwear was on the line when the milk truck came into the yard.